I Tri (sorry!) to find the best deals! 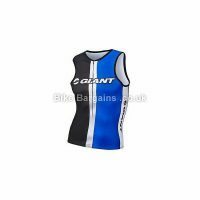 The main aim of this website is to help save my visitors money on cycling gear; however I occasionally come across offers for Triathlon gear too. I recognise that within the cycling community there’s a degree of crossover between the sports (I mean, Tri is 1/3 cycling right?!) so decided to give those triathlon deals a home in this section. Tri Clothing differs from regular cycling clothing as it has to also be suitable for the first and third legs of the race; swimming and running respectively. Aerodynamics is pretty important, especially during the swimming, as is the ability to shed water afterwards. Another important criteria, when compared to normal bike gear, is the freedom of upper body movement, as this sport requires more than just leg movement! You probably wouldn’t want to cycle on longer rides in Tri clothing, as it’s a jack-of-all-trades garment, but it’s highly performing in it’s intended discipline. 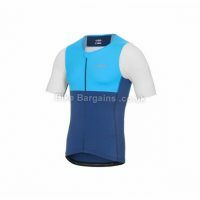 Whilst I can’t promise this section will be as plentiful as the rest of my cycling clothing, below are any triathlete clothing deals I’ve found, listed in order of discount.